A number of players earned their Senior Provincial Colours at the 2015 MSSA MWEB Western Cape Championships. In order to do so, the players all performed to the highest levels of play in that they won all the games that they played. it is interesting to note that the majority of those so awarded are learners. This indeed bodes well for the future development of gaming at school level and shows that it is indeed the schools that are the breeding ground for South Africa's future national teams. Andrea is off to invade Russia! 2015 edition of the Russian and Brazilian World Championships for the Brazilian and Russian variations of Draughts to be held in St Petersburg, Russia from 2 to 11 October 2015. I too noted that the championship carries prize money of 3,600,000.00 roubles (approximately US$64,000.00). Well, the MSSA Management Board (ManCom) has sat and has decided on its candidate for such World Championships. The candidate is none other than the vivacious Fairmont High Educator, Ms Andrea Bosch. Andrea already has Senior Western Cape Provincial Colours having won both the eSports game of Tekken Tag Tournament II, as well as for Brazilian Draughts without losing a game at the 20th edition of the MWEB Western Cape Championships. Andrea is too the first women that will officially represent South Africa in Draughts, and will be the first draughts player to represent South Africa in Russia. Andrea is too the first person from the Western Cape to officially represent South Africa in draughts. Mind Sports South Africa knows that she will do South Africa proud. The MWEB 20th Western Cape Championships that was played on 22 & 23 August 2015 and which was hosted by Fairmont High School, Durbanville proved to be a great success. 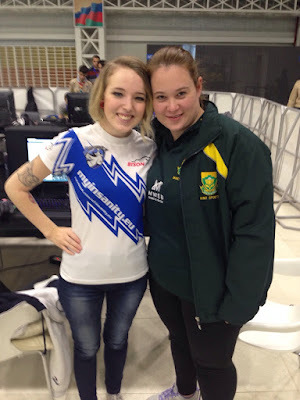 Elize Crouse proved to be a most efficient administrator, and the problems with which the MSSA had to deal with were unexpected late entries as well as some of the teams not being aware of the rules of the competition. What proved to be most pleasing was the number of learners that had attended the event. In fact only four events out of the 11 for which there were sufficient entries were not won by learners, and then three out of the four were won by educators. Of course, much of the growth in the championship is due to the announcement by the MSSA that it will be sending a full team to the 7th IeSF World Championships in Seoul in December 2015. The strength of gaming at school level bodes well for the growth of gaming both nationally and internationally. With so many learners more than ably competing with their older counterparts, the MSSA is confident that it will find a great deal of talent in the schools. This talent, will be nurtured in order to provide a more aggressive competitive base in South Africa, which will hopefully be able to be translated into results on the international stage. Thus it was not surprising to see the MSSA hand out Senior and High School Provincial Colours to no less than 36 gamers. Bitter for having missed out? The MWEB sponsored 2015 Western Cape Championships proved just what the MSSA is all about. The joy and happiness exhibited by all the gamers at the event proved just what a good job the MSSA is doing. The short answer, of course, is that the MSSA is all about accrediting people and promoting the growth of gaming on an unprecedented level in South Africa. There are those, however, that claim all sorts of fiction about the MSSA. Such fictions include that the MSSA has not chosen the best teams for E-FRAG and the IeSF World Championships. Let us unpack these erroneous claims. First it should be noted that only gamers affiliated to the MSSA may participate in MSSA events. Thus it stands to reason, based on logic, that the MSSA will (like all other national sport federations) only ever select gamers who are so affiliated to officially represent South Africa. So why then do gamers not participate in the MSSA events? Clearly this is not true across the board as the MSSA boasts of having the best StarCraft, FIFA, Hearthstone, etc. players participating in their events. FEAR: Gamers, although brash behind their keyboards at home, are generally afraid to play in LAN championships where they will be seen by other gamers and will be held accountability for what they say and do. UNWILLING TO ABIDE BY RULES: Those gamers who continually refuse to play in LAN championships are afraid to play by anyone else's rules in case they do not do well. Those that refuse to play in LANs are those who always cite some online leagues rules even though such rules have no bearing or weight in the competition in question. BEING NOT COMPETITIVE IN NATURE: A lot of gamers that refuse to participate in MSSA events are just not competitive. Such gamers are unable to adapt to new and/or different rules and are thus doomed to continue making the same mistakes over-and-over again.Such players find it difficult to learn the rules of the competition and then whinge and whine about their results blaming everyone else but themselves for their performance. TOO MUCH EGO: Many gamers have so much ego that they cannot see the 'big' picture. Instead they think that everything revolves around themselves and that they should be treated as 'special'. Well there is a life-lesson here, no-one is indispensable, and that a gamer is only as good as their last game. That is why the MSSA runs annual team trials in a transparent manner. No-one is just picked on whimsy or through any other form of bias as continually requested by 'community leaders'. All team members have earned their place in trials and all teams selected are the best possible teamsat such trials. UNWILLINGNESS TO TRANSFORM: The MSSA is committed to transforming gaming in South Africa. To exclude women is to exclude half of South africa's population, and to not promote demographic diversity is to exclude 80% of South Africa's population. Yet the critics who whinge and whine about the MSSA do not even attempt to transform South African gaming. Instead such gamers palm it off as being some-one else's responsibility. UNWILLINGNESS TO COMPLY TO THE LAW: A gamer has claimed, "There is no requirement for MSSA to exist". Obviously such gamer has not read the Sport and Recreation Act. An Act of Parliament. However, this seems to be a common thread among the 'community leaders'...that is, "I am a gamer, and the law does not apply to me!". We are all South Africans, the law does apply to all equally. To put it bluntly, the MSSA will be around for many decades to come. The MSSA will continue to produce national teams and do great development at school level. It is at school level that the MSSA will find its Protea Teams that will officially represent South Africa in international competition and which will help South Africa become competitive on an international stage. 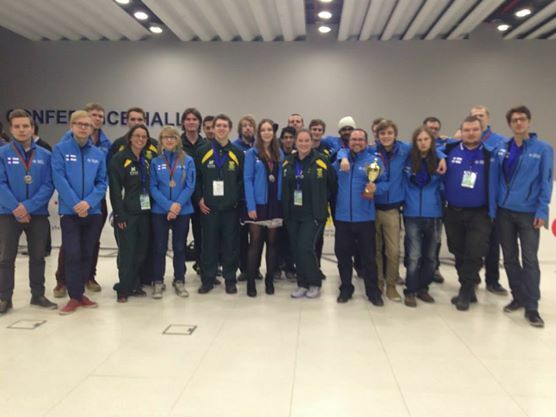 Mind Sports South Africa has just received a communiqué (as attached hereto) from its international controlling body, namely, the International e-Sports Federation (IeSF) in which major changes have been made to the 7th World Championships. The first change is that the City of Lodz will no longer be the venue of such championship. Instead, the 7th World Championships has been awarded to the City of Seoul in South Korea. The second change is that due to the change in host city, the event shall be held from 2 to 5 December 2015. All the titles are opened to all potential players regardless of gender, disability or age ever since they are officially selected by the National Federations representing their countries. Although the changes come as a surprise to Mind Sports South Africa, the robust nature of the MSSA's own rules ensures that South Africa will be present and able to deliver a solid MWEB Team eSports South Africa. 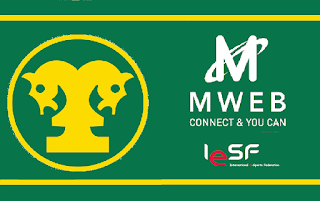 In that all MWEB sponsored MSSA LAN and online championships within a calendar year count towards qualification to the annual National Team Trials, the MSSA already has a number of players who qualify to battle it out for a place in the official Protea Team. Joining those who have, or will still qualify at the Western Cape Championships to be held on 22 & 23 August 2015 will be those players who bravely represented South Africa at the 6th World championships – Baku. The Western Cape Championships to be held on 22 & 23 August 2015 will probably be the last opportunity for payers to qualify for the prestigious National Team Trials. The Western Cape has a number of gamers of exceptional standard, and since 2013 at least 50% of every MWEB Protea Team has been made up of gamers resident in the Western Cape. 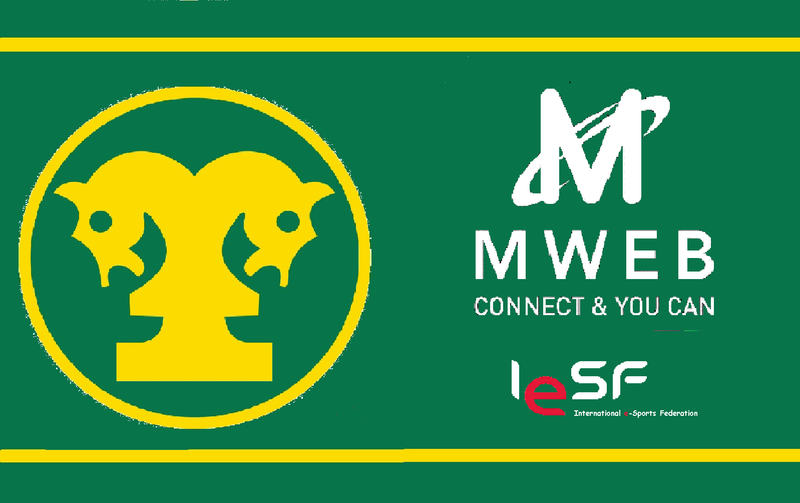 With the official Entry Registration for 7th e-Sports World Championship 2015 now having opened, the MSSA shall soon announce the date for the official South African National Team Trials. The International e-Sports Federation (IeSF) has announced that the 7th e-Sports World Championship 2015, which is the sole international e-Sports event where players compete as representing their countries will be held in Seoul, South Korea in early December 2015. The city of Lodz, which had been selected as the host city of the 7th e-Sports World Championship 2015 withdrew hosting the event due to political issues from the city in May, 2015. The board and the technical committee of IeSF examined candidates who applied to become the new host city, and finally decided Seoul as the host city of the 7th e-Sports World Championship, and officially announced that the 7th e-Sports World Championship will be held in Seoul from December 2 to 5. With the announcement of the new host city, IeSF technical committee has also announced the official titles for the 7th e-Sports World Championship 2015. After reviewing the e-Sports culture in the host country and the demands of its member National Federations, IeSF has finalized following 3 official game titles: ‘League of Legends’, ‘StarCraft® II’ and ‘Hearthstone®: Heroes of Warcraft™’. These titles are opened to all potential players regardless of gender, disability or age ever since they are officially selected by the National Federations representing their countries. ‘League of Legends’ was the official title for the 5th e-Sports World Championship Bucharest 2013. In order to promote and expand the amateur base globally, IeSF and Riot Games made a consensus to limit participating players to amateur players, who have not participated in professional and semi pro League of Legends competitions in 2015. StarCraft II has been continuously adopted as official title for IeSF World Championship since 2011, and participation of member nation’s representative players are growing fast year by year. Moreover, in 2013 from 5th e-Sports World Championship, it has been seen that many of female players’ participation in the game. On the other hand, Hearthstone was selected as the 6th e-Sports World Championship 2014’s official title, and brought issues like female participating in open for all division and 16 years old Tunisian player, Ben Amine won the Champion. Concurrently announcing titles, IeSF 43 member national federations will commence their national qualifiers. Players who are selected through national qualifier will be formally recognized as sports athletes representing each country at the World Championship with endorsement of their government or national sports authority. The official Entry Registration for 7th e-Sports World Championship 2015 is now open, and IeSF will announce all fixed participants list from each country by October. The International e-Sports Federation (IeSF) announced a partnership with Zepetto, the game developer of Point Blank, on August 11th 2015. Point Blank is a FPS genre game that has gained popularity around the globe, with more than 100 million active users over 70 countries. Zepetto hosts an anually Point Blank International Championship (PBIC) since 2011, and through the PBIC Zepetto has established a strong global e-Sports tournament system. Zepetto will cooperate with IeSF, as well as IeSF’s 43 member national federations, to expand their user base and bring their e-Sports tournament system to all 43 member federations. Promoting Point Blank through IeSF’s member nations will allow Zepetto access to markets that they were not able to penetrate on their own. Especially, if e-Sports is adopted as one of the disciplines in an International Multi Sports Events hosted by International Sports governing bodies, such as the 4th Asian Indoor & Martial Arts Games (AIMAG) hosted by Olympic Council of Asia (OCA) in 2013, Point Blank will be the first officially recognized FPS game. IeSF will encourage its member nation federations to host national qualifiers for Point Blank to dispatch national teams to International Multi Sports events. Zepetto also expects to apply regulations, which international sports governing bodies will recommend after consulting with IeSF, when hosting Point Blank e-Sports tournaments such as PBIC. Through a partnership with IeSF, PBIC will have more teams participating from IeSF member nations. Moreover, by adopting the dispatching system used by official national teams who are approved by their national governments and sport authorities, it is expected that Point Blank will be selected as an official title for International e-Sports Competitions among IeSF’s member nations. Day 4: An uphill struggle!